If you're one of the many people out there who are into herbal medicines, you might want to start your own fenugreek farm. This is your chance to grow the wonder herb that can cure various health conditions. With the right skills and knowledge, you're sure to harvest the seeds by fall. For many years now, people have used fenugreek as an herbal remedy for certain ailments like sore throat and couch. In the latest studies, the plant is also being tested as a cure for Type 2 diabetes and tinnitus; it can also be used to improve circulation, reduce cholesterol, and stimulate production of breast milk. Some people even claim that it is being used as an aphrodisiac and sexual stimulant. This plant can be found mostly n Asia and Europe. Before you start growing fenugreek, it would be best to learn more of its growth requirements. The maximum height of the plant is around two feet and it loves neutral to somewhat acidic soil. If your land space gets full sun and the soil is fertile enough, you can start your own fenugreek farm. Unlike other plants, this one doesn’t like to be transplanted. There is a need to plant the seeds directly on the ground. You have to ensure that the soil has good drainage and the frost has completely past. Late spring is usually the best time to plant. When planting the seeds, you will need to observe a 5 inches spacing between the plants. The sprouts appear quickly and with proper care, you can harvest seeds every year! Your fenugreek farm will not only provide you with the herbal seeds but the plants will make great additions because of the bright green colors. You can harvest the seeds around autumn or fall and you have to dry them thoroughly. You need to get airtight containers where you can store the seeds. Be sure to place the, in dark cupboards or in any other dark place. The seeds can be sold at the local market at a reasonable price. Try to determine the prevailing market price of the fenugreek seeds and sell them in an attractive packaging. When maintaining a farm, you will need to inquire at the local council or agency concerned if you need to secure a license or permit. Selling the fenugreek seeds will allow you to earn some income. If you have a large farm, you can grow other plants and crops. With the right management techniques, you’re sure to succeed. A fenugreek farm alone may suffice because a lot of people are now going back to the basics. 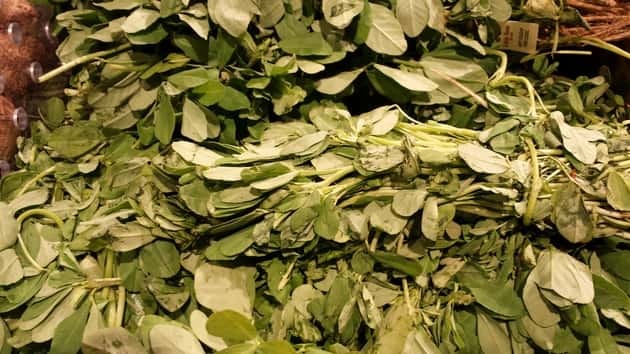 By selling this wonder herb, you can earn considerable profits. A lot of local residents will patronize your business since fenugreek is known to cure many ailments. Japanese farming techniques are said to be one of the most advanced ways of farming in the world. Japan is now moving towards natural farming where focus is on nature. Are you into coriander farming? If you are, you will benefit greatly from this article because it will teach you the basics of growing coriander or cilantro. I got a good start on Fenugreek while referring your articles on your web.I want to have a detailed fenugreek production manual to deal with my business. Can you please help me on this? Thank you so much. Solomon.